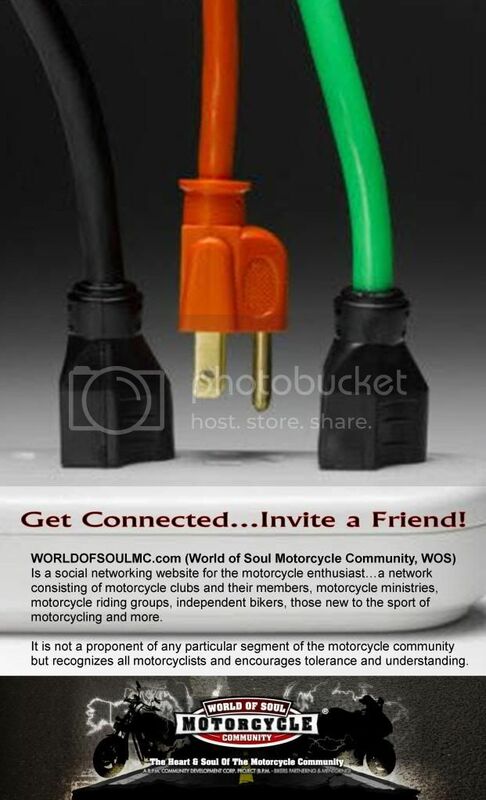 I am the website administrator of WORLDOFSOULMC.com. LOL, KEVEN IS DOING GOOD, SLOW HEALING PROCESS , BUT COMING ALONG, THANKS FOR ASKING. AND FYI I'M GOING OK AS WELL. :-). HOPE ALL IS WELL ON YOUR END, TRAVEL SAFE ON TWO'S. Thank you for extending the warm welcome. I am really enjoyng the site. Very well done. Keep up the GOOD work!